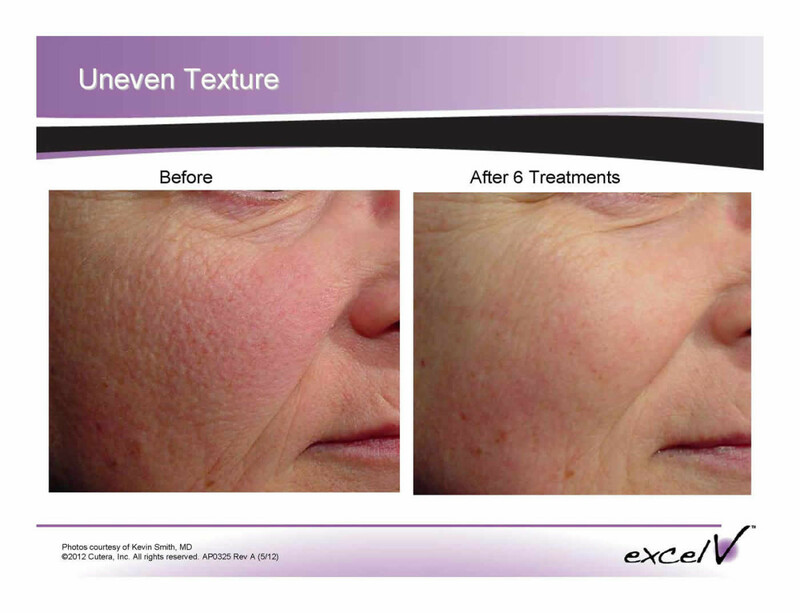 The Cutera Excel V is effective at treating a number of conditions on men and women of all skin tones. 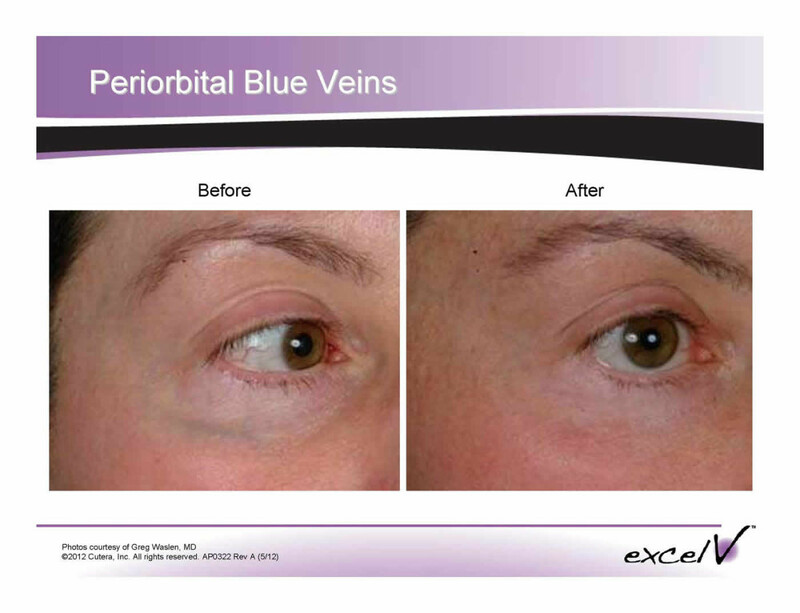 The laser treats blue veins around the eyes, blue, red or purple spider veins of the legs, benign pigmented lesions and sun-damaged areas of skin that are tan or brown. 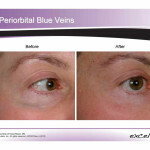 With the most advanced technology, a unique design, and a longer wavelength, the Excel V Laser safely and effectively treats a broad range of vessels from tiny spider veins to deep blue reticular veins quickly, safely, and effectively. Patients with dark, light or tanned skin can experience outstanding results. 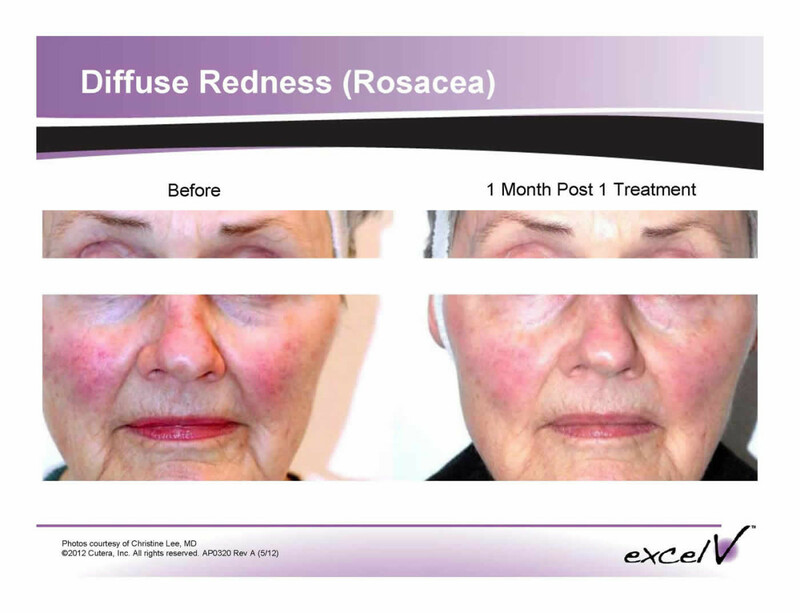 The laser delivers pulses of light energy which cause the blood within the vein to coagulate, eventually destroying the vessel which is later reabsorbed by your body. Blood flow will then be redirected to veins deeper below your skin’s surface, where it should be. 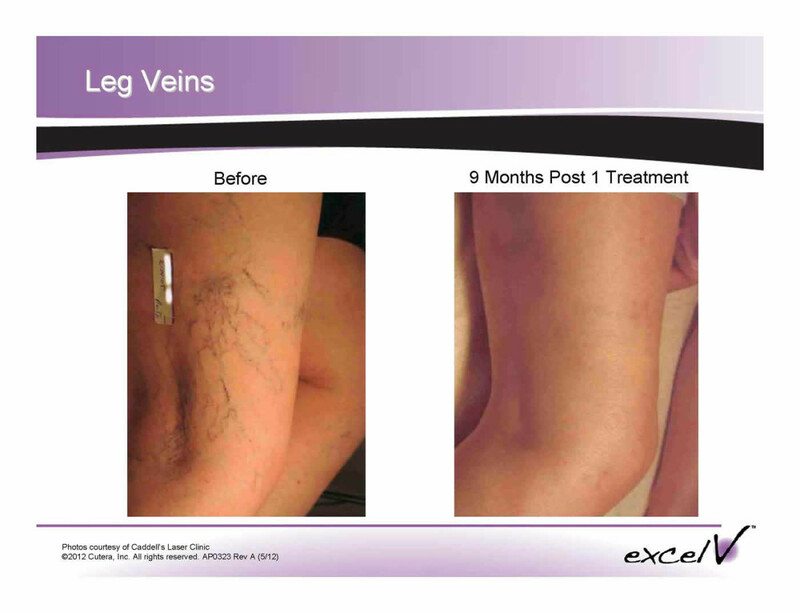 How does Excel V Laser differ from Sclerotherapy for leg veins? Depending on the type, size and color of the spider and reticular veins being treated, your Tribeca Skin Center dermatologist can determine if sclerotherapy or laser therapy will be most effective. 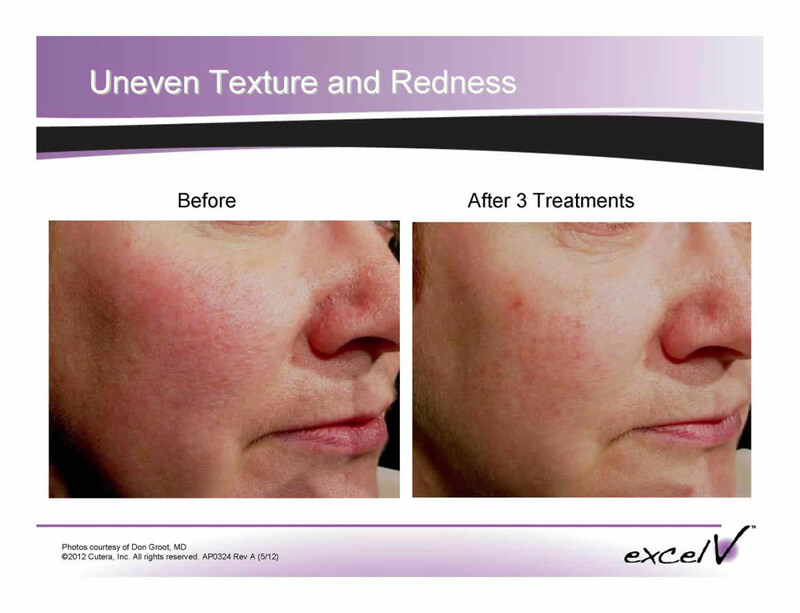 What does a Excel V Laser treatment feel like? 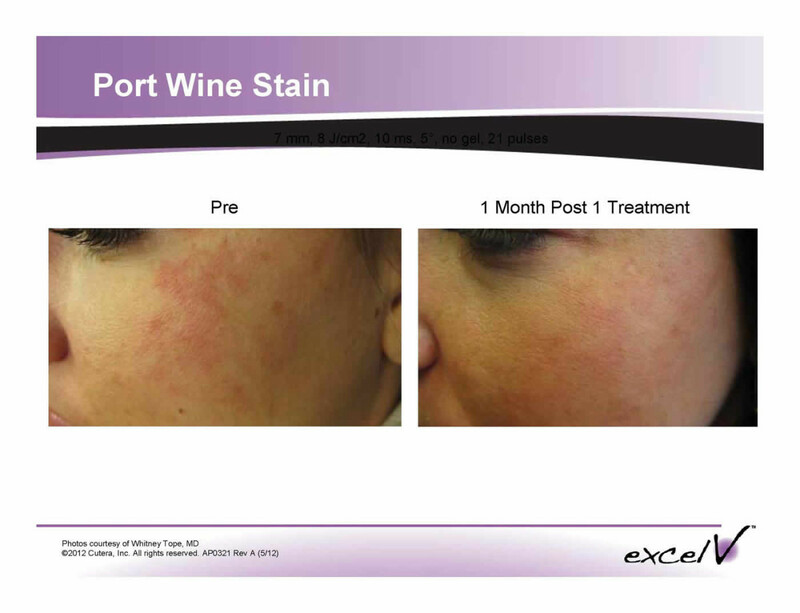 Patients describe the treatment as feeling like a stinging sensation as the pulses of energy are delivered. To minimize discomfort, the Excel V uses a proprietary cooling mechanism. Following the treatment, pain is minimal to non-existent. 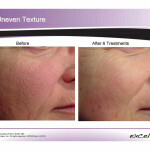 How long does a Excel V Laser treatment take? 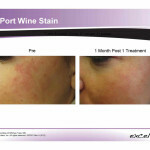 The treatment takes 10-15 minutes. 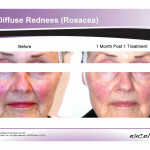 There can be an initial period of redness, swelling, or bruising, which is always temporary and dissipates over time. Most people recover over 48 hours. 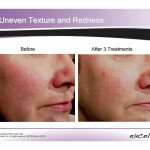 Most patients find that the treated area shows a significant improvement within 2-6 weeks of treatment. Your final results might not be apparent for several months. What do I need to know before my first Excel V treatment? We recommend wearing compression stockings for 48 hours after spider vein treatment and/or refraining from activities that pump blood to the lower legs, such as hiking, biking, or treadmill.